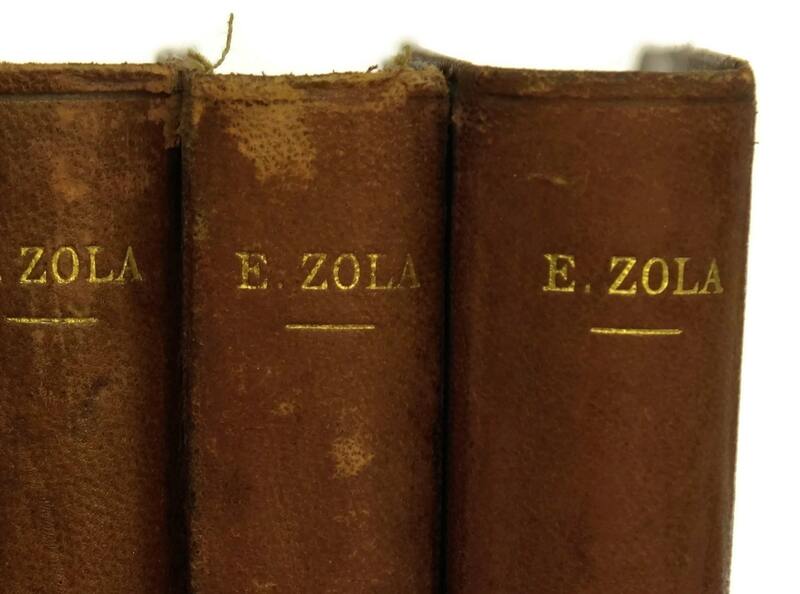 Emile Zola Leather Bound Book Set. Antique French Book Collection Published by Charpentier and Fasquelle. 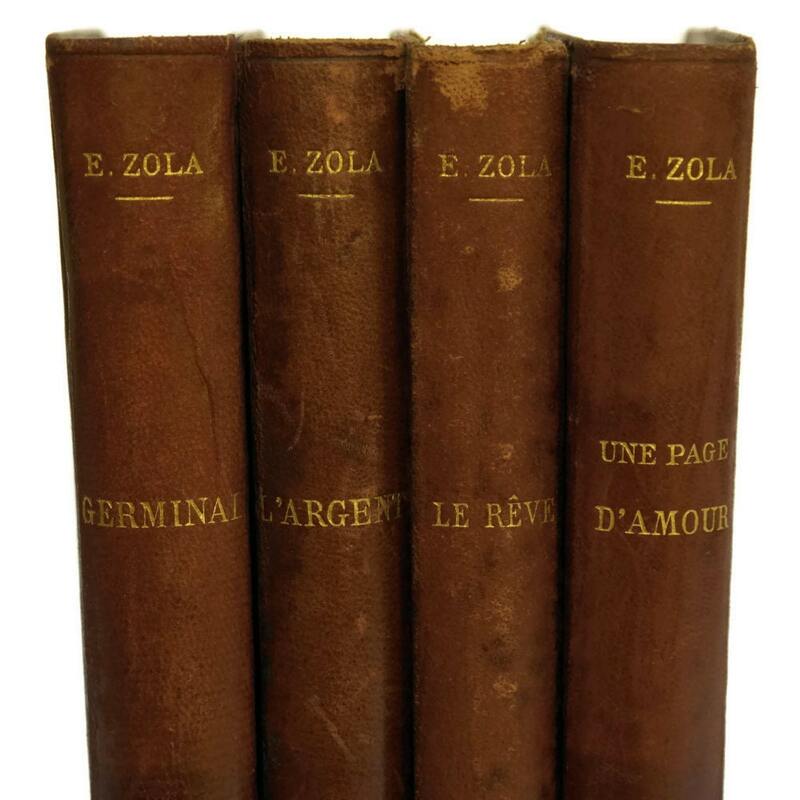 An antique set of 4 leather bound books by the famous French writer Emile Zola. The volumes were published in the early 1900s by the French publishers Charpentier and Fasquelle of Paris and feature brown leather soft covers with gold embossed lettering. "Germinal", " Une Page d'Amour", " L'Argent" and "Le Reve". Each volume measures 5" Wide x 7.5" Tall (13cm x 18cm). 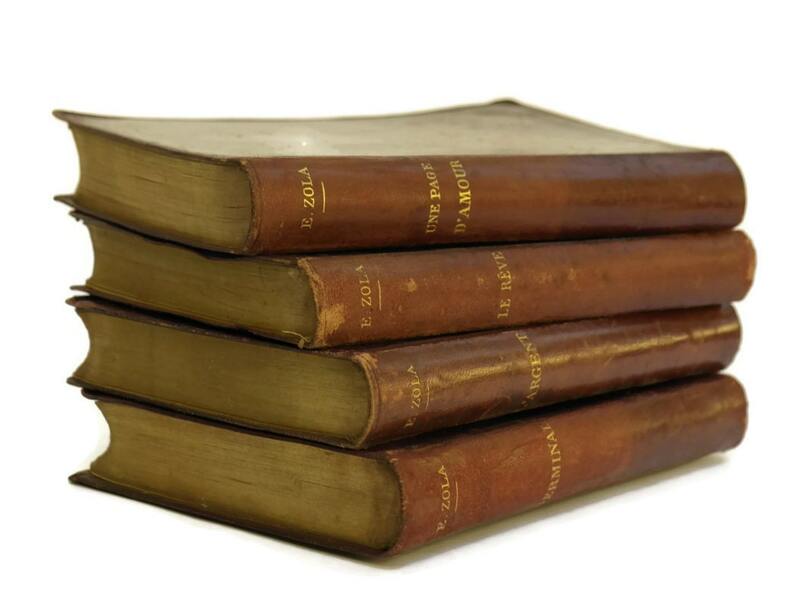 The antique book collection is in good condition with age-appropriate wear including light marks and wear to the covers and age marks to some of the printed pages. 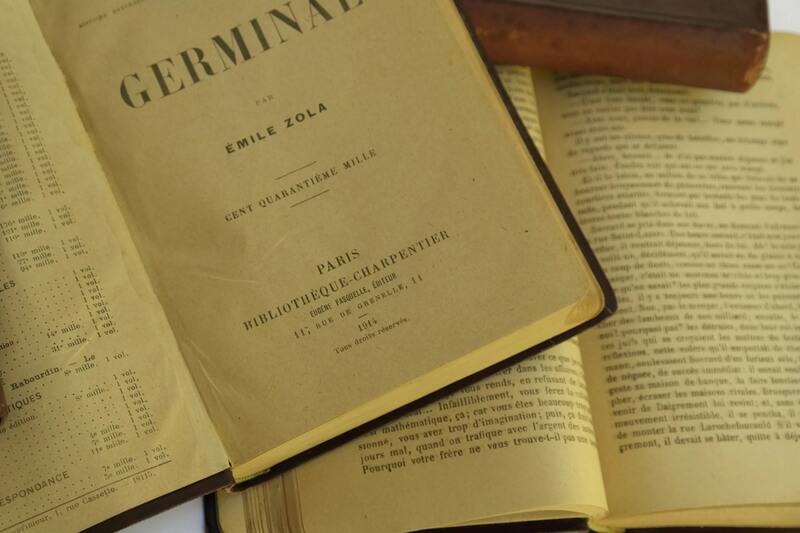 Item: Emile Zola Leather Bound Book Set. 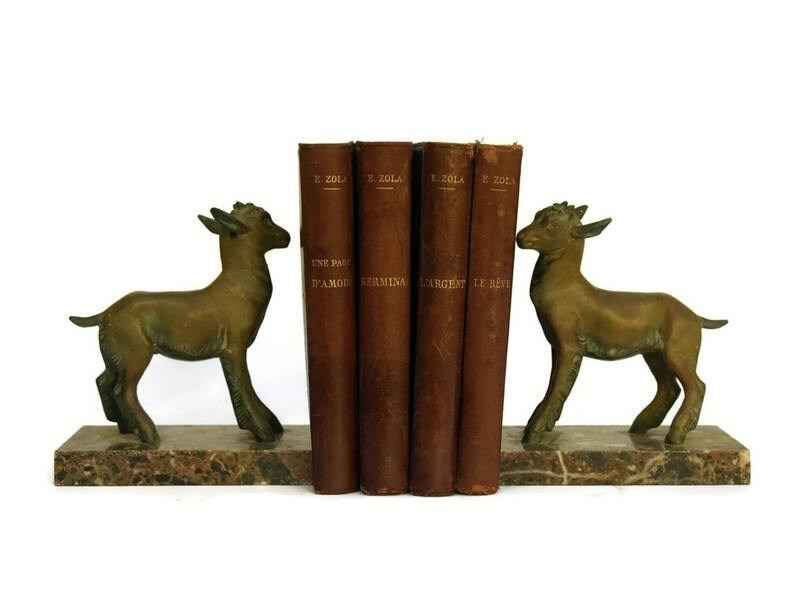 Antique French Book Collection Published by Charpentier and Fasquelle.